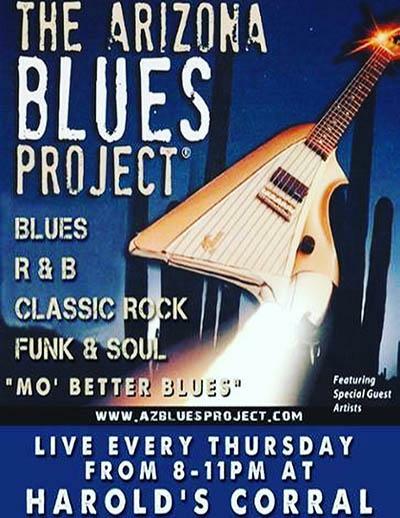 Join in the fun every Thursday Night with The Arizona Blues Project. You will get a little bit of R & B, Classic Rock and a lot of Blues! Reserve a table by calling 480-488-1906.